After 11 days here—the longest we’ve spent anywhere since leaving Vermont— El Nido has started to feel like home to us. This tiny town, nestled between enormous, jagged karst cliffs, is indescribably beautiful. 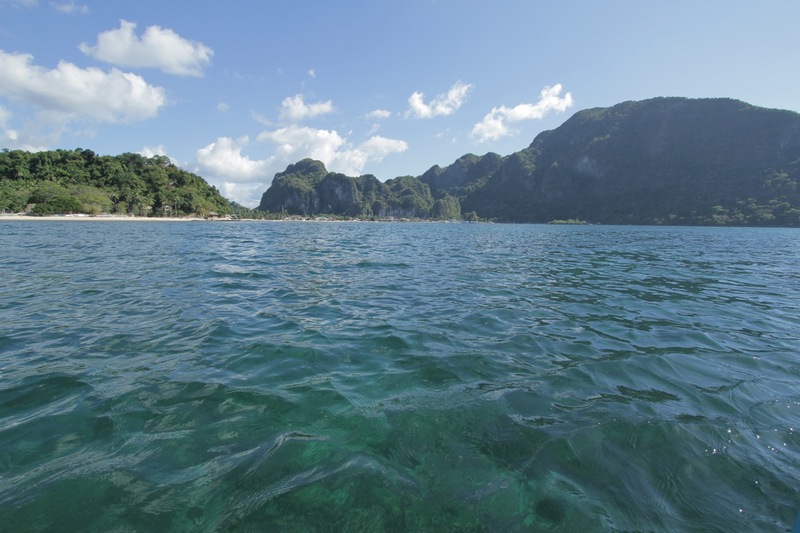 We look out every day at the many mountainous islands of Bacuit Bay, scattered across the turquoise water. 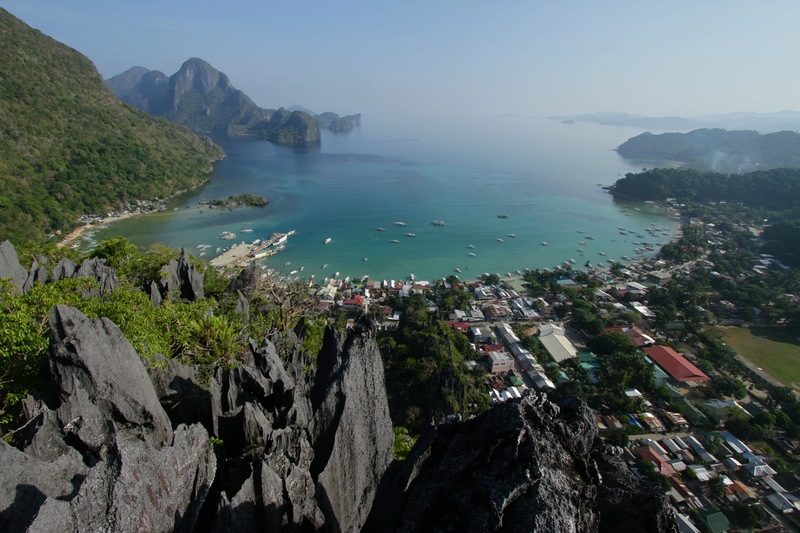 A short, steep hike leads to excellent view of El Nido from above. 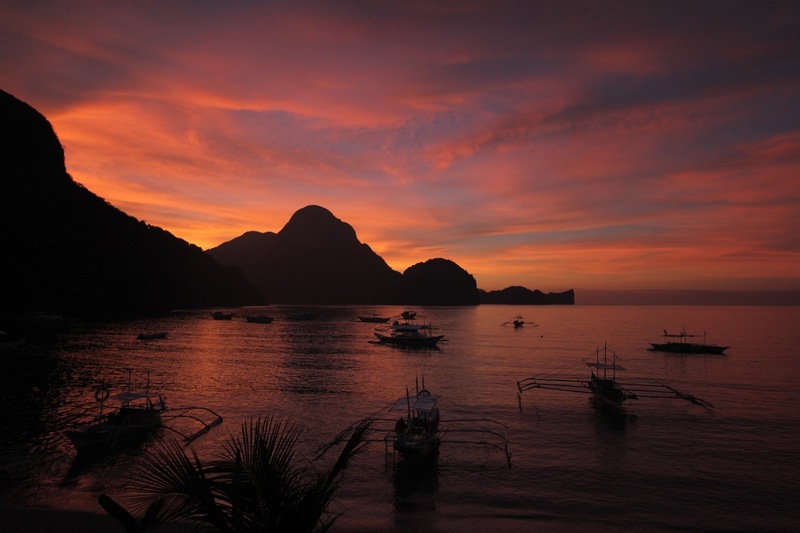 We rise early in El Nido, largely against our will. The power shuts off across town at 6 a.m., taking our fan along with it, and before long it’s much to hot to sleep. It’s vastly more malicious and effective than an alarm, and street noise and roosters finish the job. 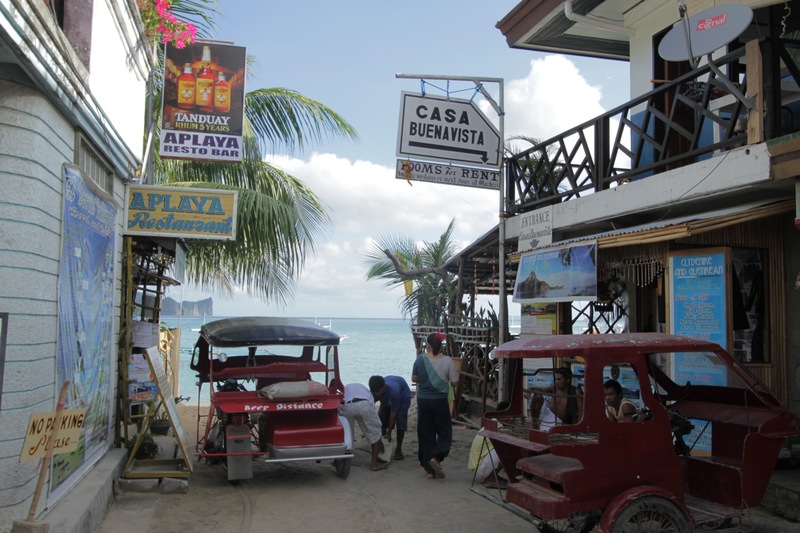 Most days then began by hitching a ride on one of the many tricycles—motorcycles encased in a sort of sidecar/carriage, painted bright colors and emblazoned with nicknames like “Baby Janelle” — to our favorite beach. Tricycles waiting outside our guesthouse. A ten-minute ride out of town, Las Cabanas beach is ridiculously gorgeous. It is the quintessential tropical beach that adorns postcards and calendars— a hundred foot wide crescent of fine blond sand backed by a grove of palm trees. Purple cowrie shells dot the water’s edge, and a rippled sandy bottom stretches out into clear water as far as you can swim. Laying on the sand, we face west into a bay that changes colors as the sun moves across the sky. To continue what seems to be a trip theme, we spent every evening on the balcony at Casa Buenavista guesthouse, sipping cold beers and watching the sun set behind the islands. 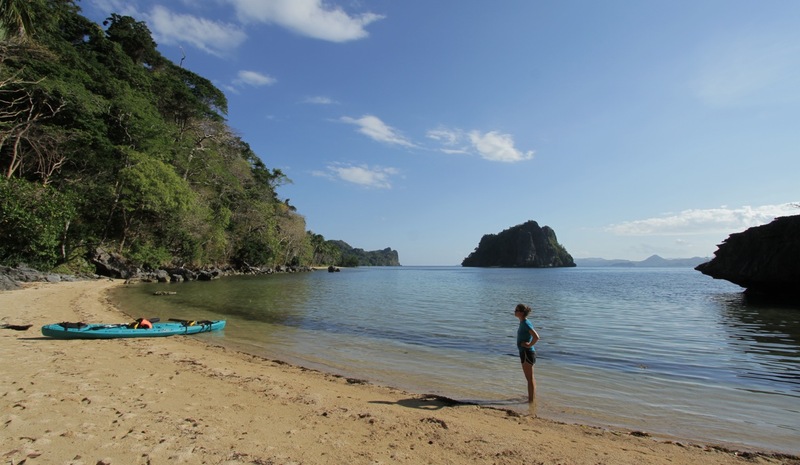 We couldn’t leave El Nido without exploring some of the islands we had been looking at for the past week. 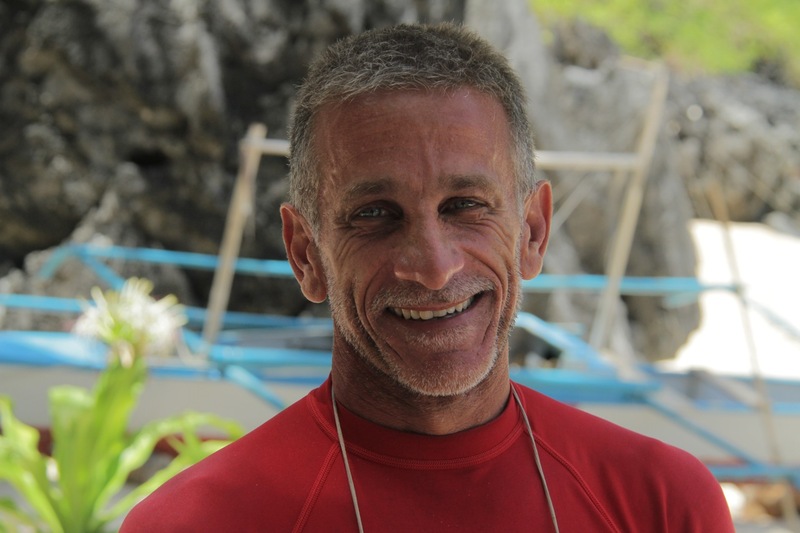 We signed up for a two-day tour with Serge, an energetic Frenchman who operates Kayak Island Trip. 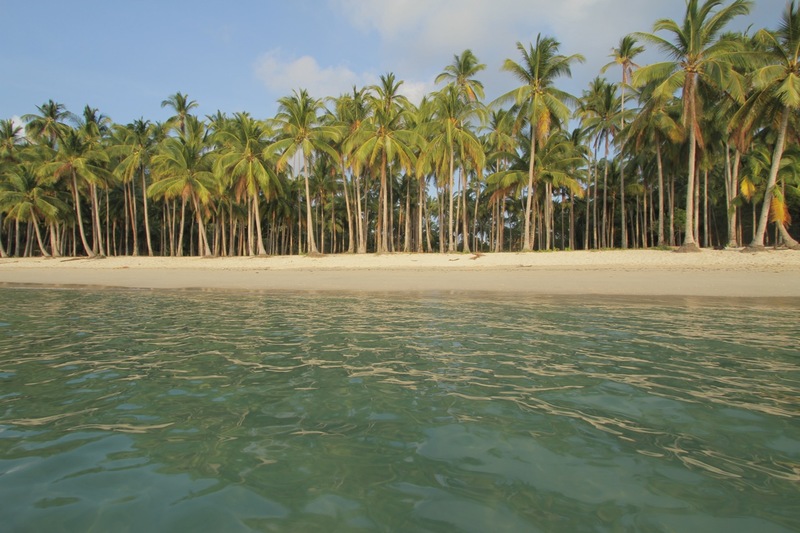 Three French women joined us on the nine-mile paddle out to Matinloc Island, with stops at some of the most alluring beaches we’ve ever seen. 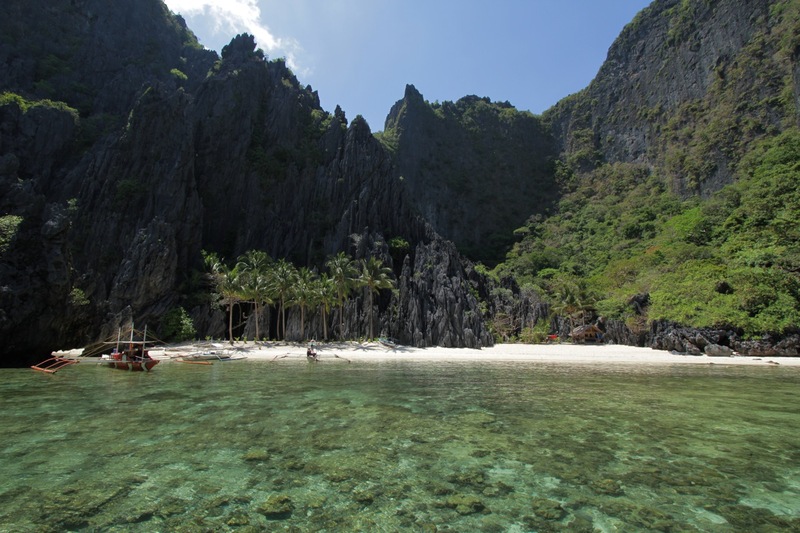 Coves and lagoons opened up to reveal small beaches obscured from view by craggy cliffs. Serge seemed to enjoy the two days jut as much as anyone. Pulled up for lunch at Ubugon Cove. After a long, windy, open water stretch to finish the day, we were all ready to pull up to our campsite, another beautiful beach hidden behind cliffs. A boat brought in a delicious dinner— whole fish in sweet and sour sauce, a mountain of rice, and fresh fruit. 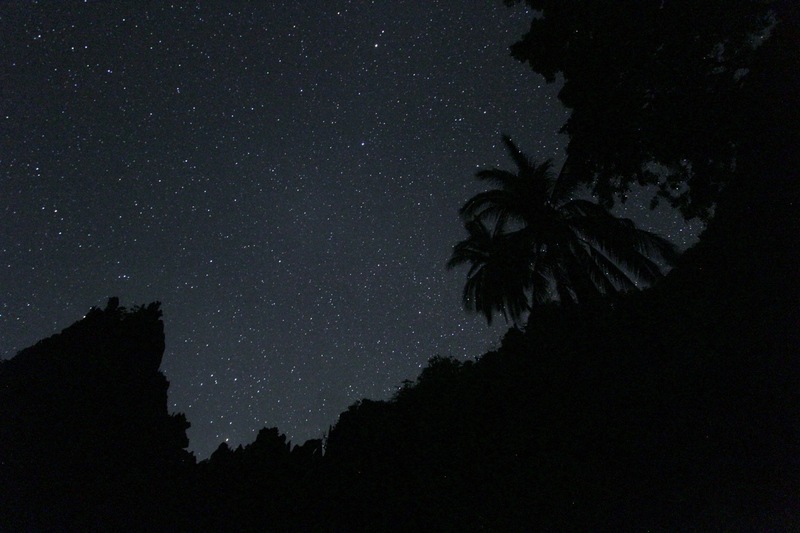 Serge went to bed at 7 p.m., and the rest of us watched the stars through a window of karst cliffs and palm trees. In the morning our group boarded the outrigger boat for a day of island hopping. Sitting in the shade of its awning, we all reveled in watching the islands roll by with absolutely no effort. Rounding the northern tip of Matinloc Island, we entered Tapiutan Strait, a beautiful channel between two rugged islands, which became our favorite stop of the day. Just a quick swim off the beach, a coral-studded shelf teeming with brightly colored fish dropped off into the deep blue water, and a gigantic sea turtle surfaced a few yards away from our kayak. Anchored on Star Beach in Tapiutan Strait. A seriously beautiful spot for lunch on Miniloc Island. 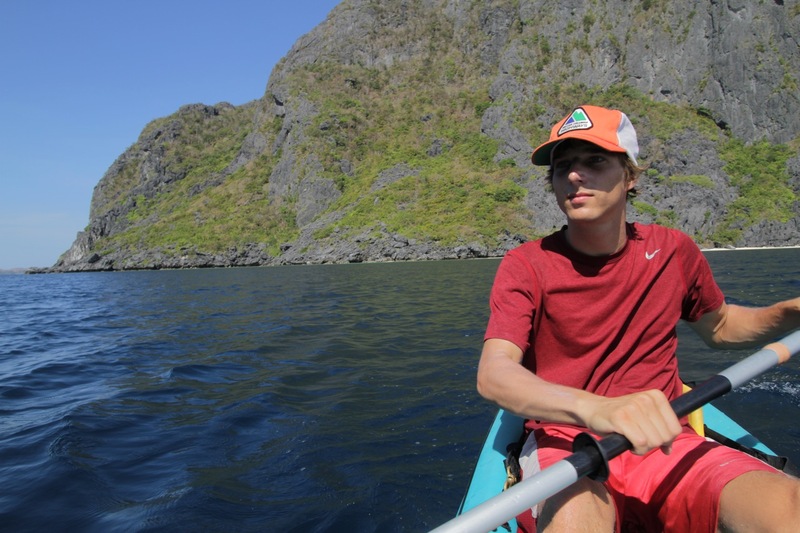 In the afternoon, we paddled into the blandly named Small Lagoon— Serge’s favorite spot in Bacuit Bay. 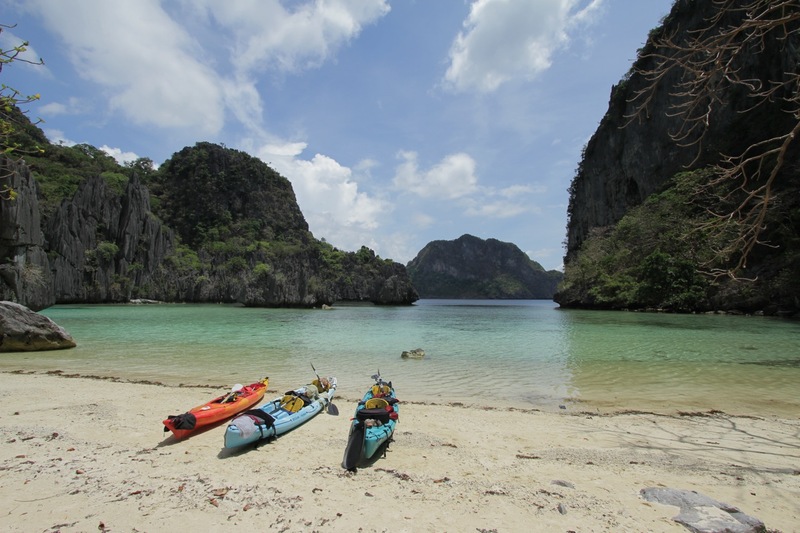 Accessible only by a hole in the rocks large enough for a kayak, two pools of calm teal water spread beneath a circle of cliffs reminiscent of Vietnam’s Ha Long Bay. As the boat headed back to El Nido late in the afternoon, we said goodbye to Serge and our companions, and were dropped off with a kayak near Cadlao Island for a night of camping on our own. 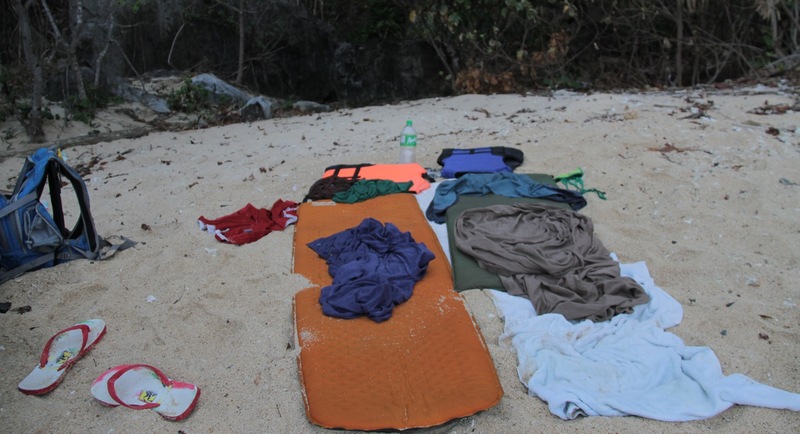 We discovered that sleeping on the beach is a lot more enjoyable in theory than practice when you don’t have all the required gear (like a tent) or good food. We choked down some of the all-time worst pasta we’ve ever made. Salty, ashy, starchy, and coated in disgusting sauce that may or may not have just been ketchup, we couldn’t even finish it. Despite a distinct lack of sleep, it was still an unforgettable experience to watch Orion slowly slip below the horizon on our own private island beach. 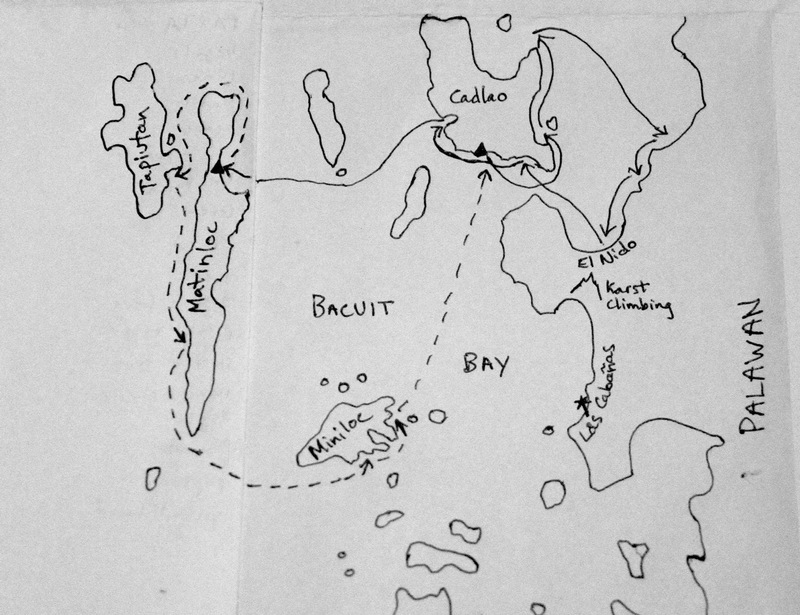 A map of our route: After leaving El Nido, a few stops on Cadlao Island before the long crossing to our campsite on Matinloc. Aboard the boat on the dotted line before being dropped on Cadlao for our second night. Up north, across the bay and back on day three. Up at dawn the next morning, we paddled around to the northern tip of the island— an enormous cliff we had looked out at each evening. It was pocked with deep caves, full of tiny swiftlets darting in and out. A short stop enroute to the cliffs at Abrupt Point, rising just left of center. From there, we had nowhere to go but across the bay, a long haul in open water straight into a frustratingly stiff headwind. Our efforts were rewarded with a long, deserted beach and a cowrie shell jackpot that filled our pockets to the breaking point. El Nido nestled below the cliffs. Almost there! 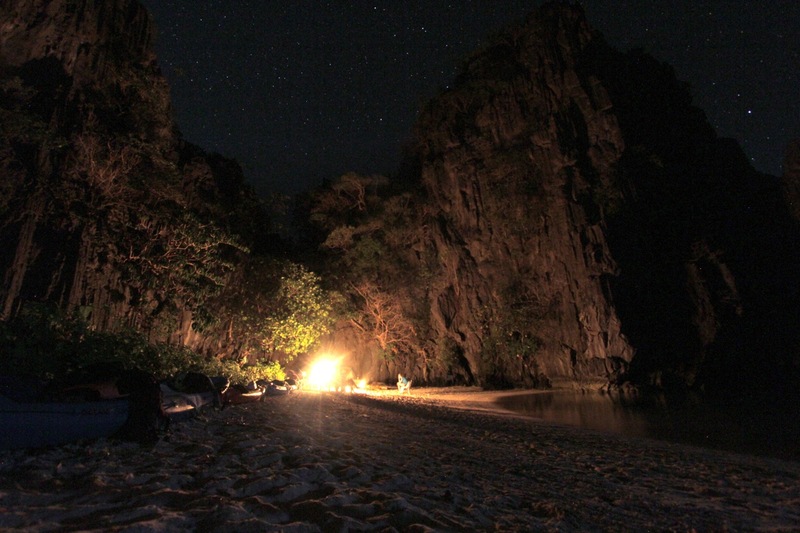 After a full day of exploration and 10 miles of paddling, we pulled ashore in El Nido, sunburned, sandy, and satisfied. On our last day here, we soaked up all of our favorite things. All day at Las Cabanas, ripe mangos, shortbread cookies from the Midtown Bakery, crab at The Alternative for dinner, and Red Horse beers on the deck. It was a perfect and bittersweet day that reminded us of the way we said goodbye to home four months ago. 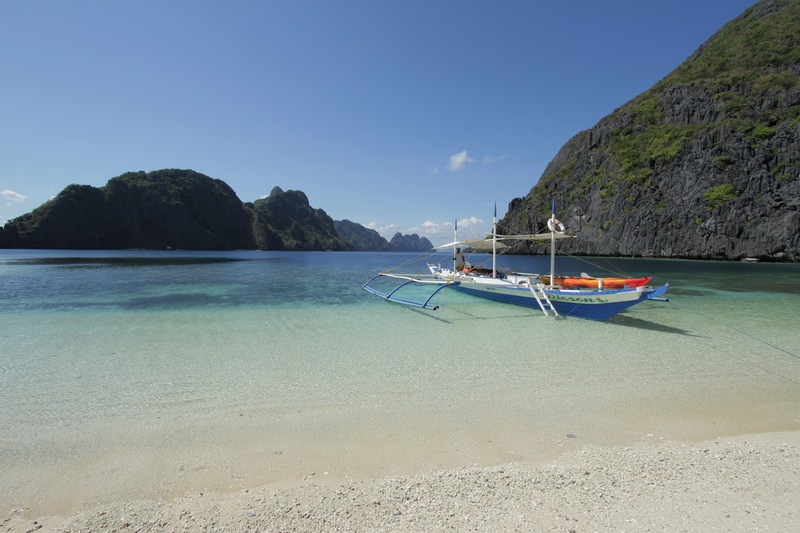 El Nido is the sort of place where, if you show up with no return plane ticket, you may never leave. Our flight, for better or worse, is tomorrow. This entry was posted on May 2, 2011 by Five Eyes Films. It was filed under Uncategorized and was tagged with oceans, philippines, southeast asia. SO FREAKING BEAUTIFUL! I can’t even stand it! I want to be there now! That kayak trip sounds like a blast! 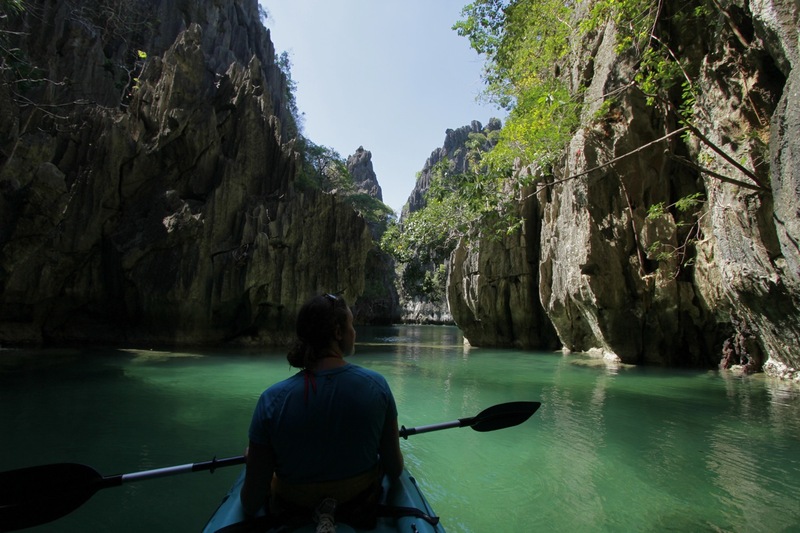 wow amazingly beautiful..great shots..I knew you’ve had a lot of fun staying in Palawan, your journey and the pictures of it really testified..
thanks john. definitely one of the most amazing places we’ve ever been. Finally had a chance to really look at this latest post-great job as usual. thnaks for the trip thru the Philipines! Hi Serge! Thanks for the amazing tour around El Nido! It’s still one of our favorite places. 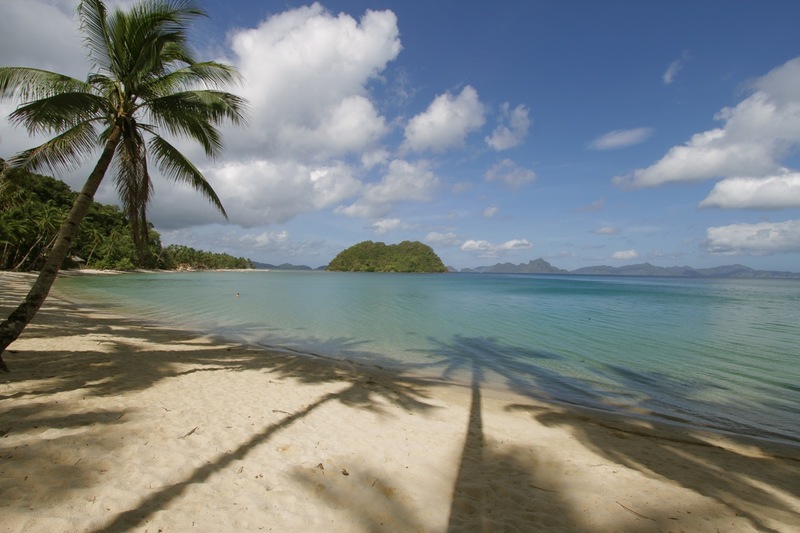 You’ll never believe this, but I was born and raseid in Manila, Philippines, and lived there for nearly 20 years but never had the chance to visit Palawan. In my defense, growing up in the 70 s, 80 s in the Philippines, the southern part was always considered a hot bed for Communist activities and we were told to avoid these parts. 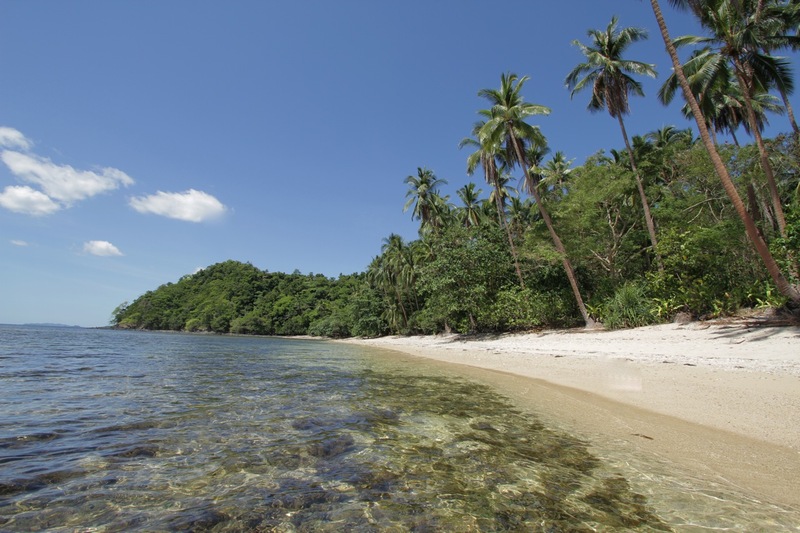 Of course, in the mid-80 s to 90 s, tourism in Palawan just started to take off, but I totally missed the opportunity to travel to this province. 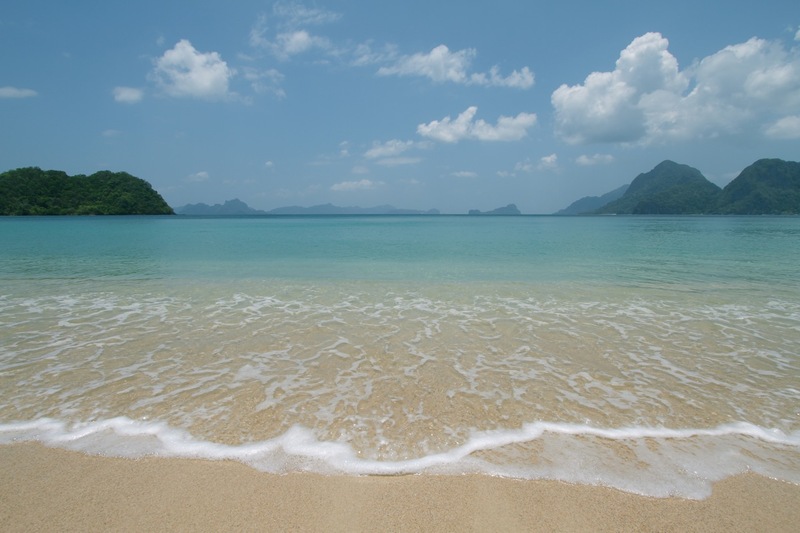 Perhaps, my next visit in 2011, I will make sure that I get to Palawan!